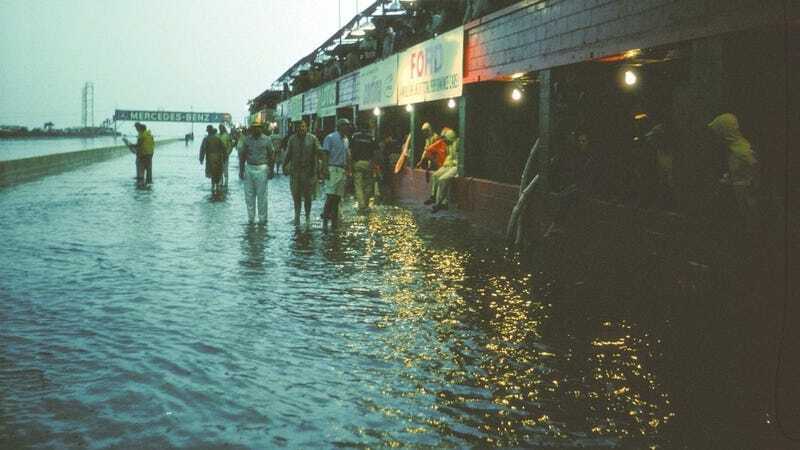 There was a bit of rain at Sebring during the 12 hour race this weekend, but thankfully it wasn’t as bad as the wetness in 1965. Back then, Jim Hall and Hap Sharp won in a Chapparal 2A by a 4 lap margin. This year it was the Action Express Racing Cadillac DPi.R of Felipe Nasr, Eric Curran, and Pipo Derani, by just over a second from another Cadillac. Porsche won the GTLM class, and the Grasser Lamborghini team won in GTD again.